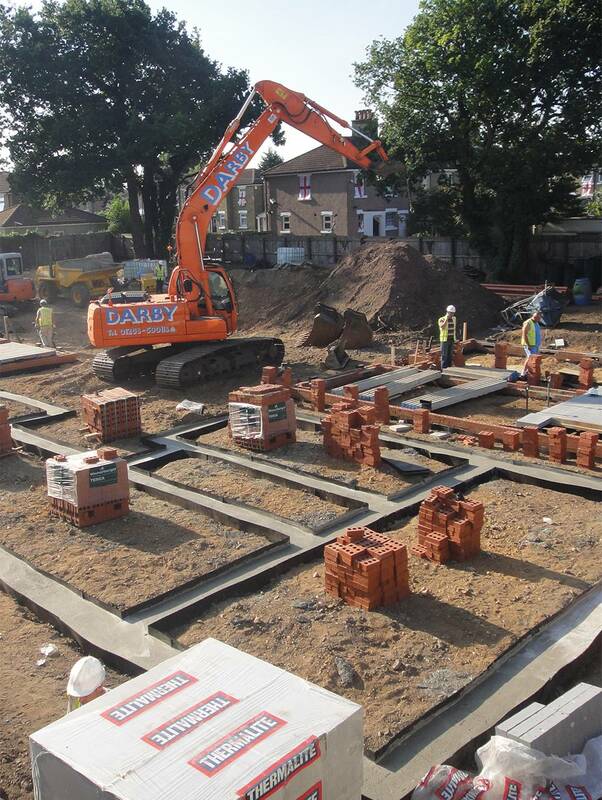 Darby Groundworks Limited was Established in 1998 and supplies the construction industry with a professional service providing Civil engineering, Enabling works, Basement and Temporary works, Sub Structures and Foundations, Drainage, Reinforced Concrete Super Structures and External Works. We engage with the whole process, partnering with the project team. Our aim is to improve the efficiency of the supply chain and value engineer work and programme logistics towards better building, cost certainty and timely completion. Darby boasts a very diverse client list and a constant throughput of work. Our enviable reputation within the industry, means that over 85% of our business is repeat business. We are pro-active in the truest sense of the phrase – ready to act on our initiative and to value engineer on the client’s behalf. Our client and partner-centric approach has led the Company to increase turnover and profits year on year, and our reputation for quality and efficiency has been key to our success and continued growth.